As we all know, farmers are dependent on the weather for their crops to grow and maintain good condition. They sometimes have very small windows to get things done before the rain comes. This is why we have had a recent increase in farmers and spray contractors extending their stainless steel spray tanks. By extending the spray tank by 350 mm, it gives approximately 1300 litres of extra volume which is about 26% more. This improves time management because the operator doesn’t need to fill up as often. First we need to have the tank removed from the machine to extend the tank. This can be done by the owner, the sprayer dealer, or Horsham Hydraulics. Once the tank is removed we place it on a frame that holds the tank in the correct position. We then clean the inside of the tank and place it inside our workshop. If the tank has a baffle, we enter the tank and cut the baffle out first. This process is very dangerous and our employees have the correct Confined Space training, equipment and experience. Once the baffle is cut, we cut the outside of the tank horizontally while supporting the top half of the tank. We then separate the two halves and tack the 350 mm sections on the bottom half. With the help of a forklift, we lift the top half into place and tack it all together. 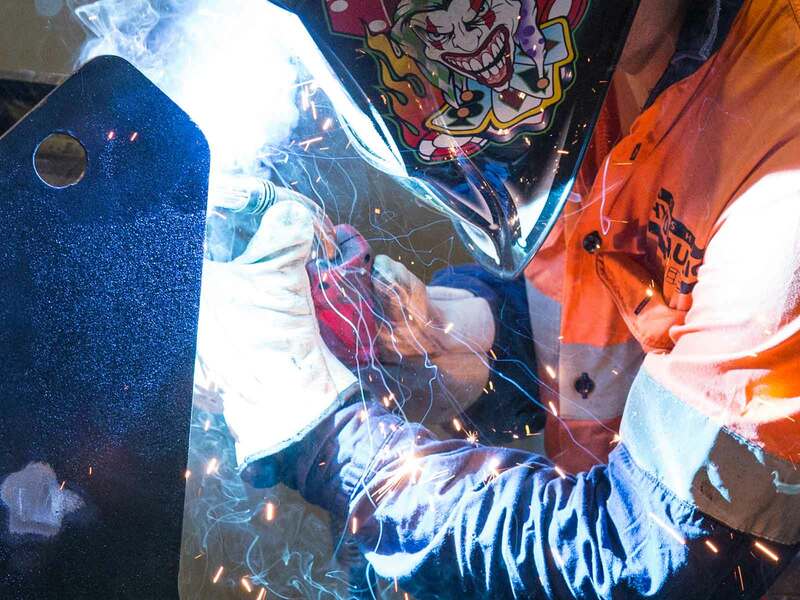 We weld the tank with a special pulse MIG welder and clean up the welds using a special technique. 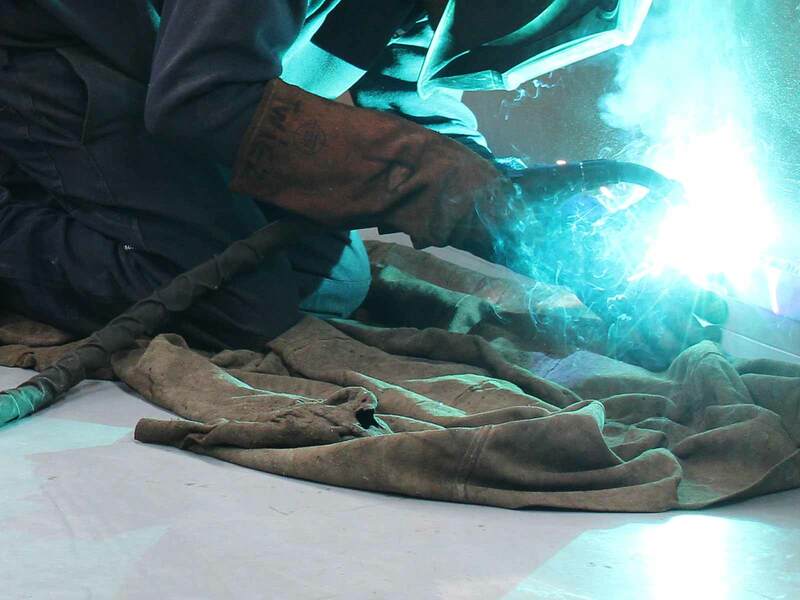 We pressure test all the welds with compressed air and use a leak detector to ensure there are no leaks in the tank. We also flush the inside of the tank to ensure there are no contaminants left inside the tank. We can also provide hose extensions, new tank straps (for John Deere) and new level gauges. Once the tank has been completed, the tank is ready to fit back onto the machine. Again this can be done by the owner, the spray dealer, or Horsham Hydraulics. Usually this would be done by the person(s) that removed it to begin with. 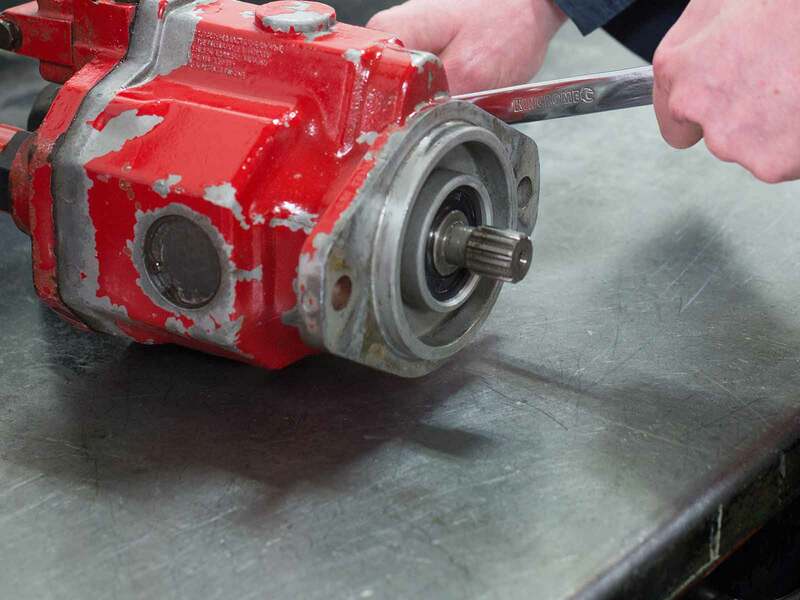 To remove, extend and refit the tank it usually takes three to four days. To extend the tank only usually takes two to three days, depending on the brand of the tank. 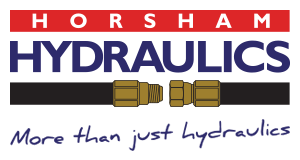 Horsham Hydraulics servicing Victoria, New South Wales, ACT, Queensland, Western Australia, and South Australia for Stainless Steel Spray Tank Extensions. 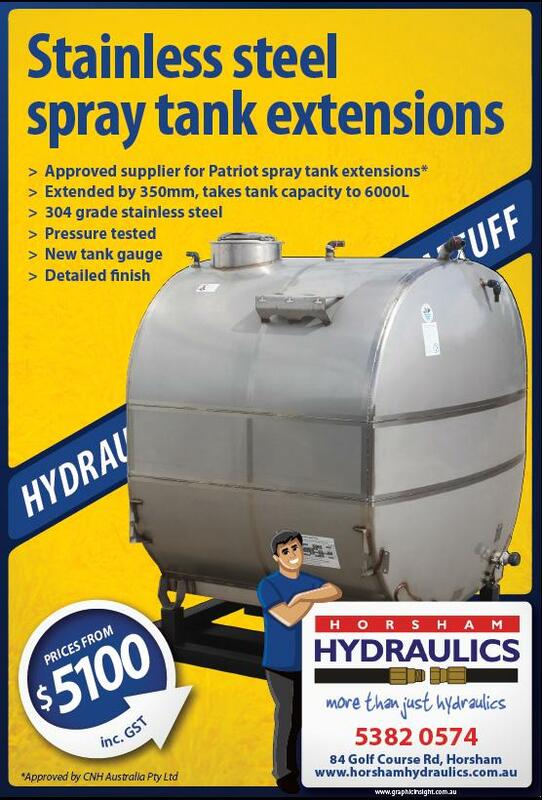 Approved supplier for Case Patriot spray tank extensions.